Onyx Jet Group has a unique approach to aircraft management. As a charter broker, Onyx Jet Group has established relationships with all charter operators both foreign and domestic. 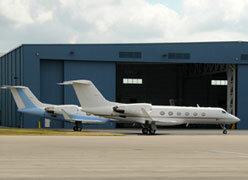 Our company recognizes each charter operator’s specialty allowing us direct insight as to what we can offer our clients. Onyx Jet Group can provide a home base that will generate the most revenue on your aircraft regardless of its size and type. Various options are available for aircraft management in today’s aircraft environment including floating fleet and postings of any or all of your empty legs. Onyx Jet Group concentrates on supplementing the management companies in optimizing your empty legs thus generating additional revenue. Aall part 135 operators selected to manage your aircraft are and will be ARGUS (aircraft research group of the United States) and WYVERN safety rated. We look forward to establishing a relationship with you while managing your aircraft.